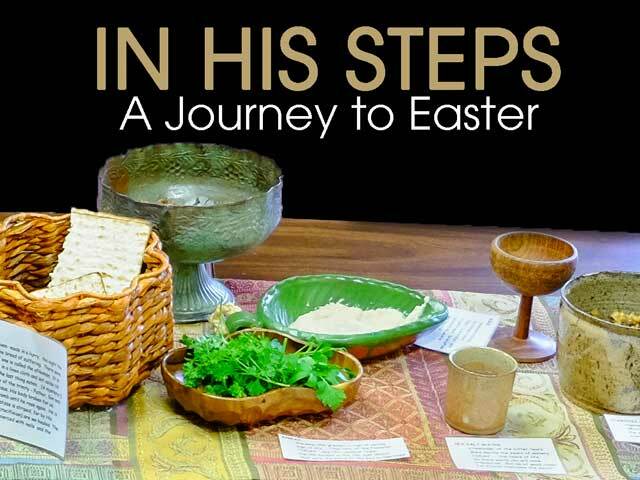 Beginning Years Early Childhood Learning Center would like to invite you and your family and friends to experience an Easter Journey in the Upper Rooms of Beautiful Savior Lutheran Church. Walk in Jesus’ steps on this self-guided tour and experience the Foot Washing Room where you may use the basins and towels to wash your feet as Jesus did for his disciples. Join in the Last Supper as you sit on pillows around a low table to taste and learn about lamb, charosis and other components of the meal. Enter the Garden of Gethsemane with its trees, shrubs, old benches and kneelers to pray with your family. At Golgotha hammer your sins to the cross, then pass through the curtain to the empty tomb. Rooms are open following Maundy Thursday Service (April 18th 7:00 PM), Good Friday Service (April 19th 7:00 PM), Easter Egg hunt (April 20th 10:30 AM) and Easter Sunday Service (April 21st 9:30AM). Lamb and charosis will be served on Easter Sunday only.